Vanguard HR Associates Pvt. 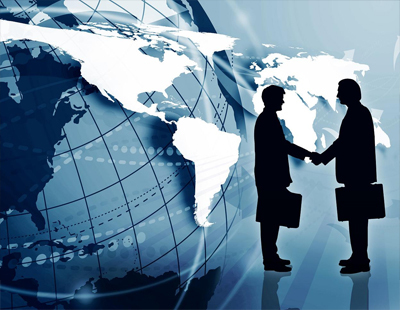 Ltd. is one of the pioneers in providing Manpower Recruitment/ Consulting services for India and Overseas. Over the years, we have acted as preferred recruitment partners to multinationals and leading Indian businesses organizations. We work across verticals and the spectrums of industries covering both IT as well as Non-IT sectors. Exposure of more than 10 years in the industry has strengthened the roots of our management to get broad ranged and premium client portfolio. Strength of our organization lies in fulfilling the client’s expectation with a Turnaround Time (TAT) of 24-48 hours. We are the conduit to talented people. Our human resource outsourcing solutions enables growth by providing the most important asset to organizations – its people. We have expertise in handling recruitment for all levels i.e. Senior, Middle and Junior. We have a team of highly qualified and dedicated professionals with wide exposure of working with top consulting organizations in India and Abroad. We believe in maintaining long term relationship and trust with our clients by providing Quality Work in less Turnaround Time (TAT). Looking to hire the best talent? We are able to dedicate our resources to not only provide outstanding service to all our clients but to also help them find the right fit. We have been providing executive solutions to a wide range of clients, including multinational, entrepreneurial businesses, private equity firms, family owned companies, etc. Exposure of more than 10 years in the industry has strengthened the roots of our management to get broad ranged and premium client portfolio. Strength of our organization lies in fulfilling the client’s expectation with a Turnaround Time (TAT) of 24 hours.